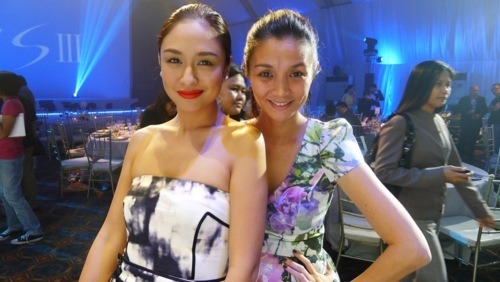 Photo with Preview EIC Paulene Suaco-Juan, gorgeous mom-to-be Rissa Mananquil-Trillo and my cousin (who also won an S3) supermodel and host Phoemela Baranda. 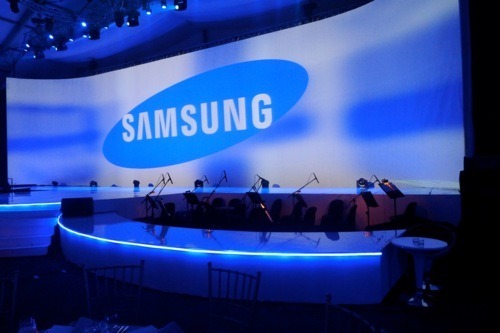 Lately my techie friends have been talking about Samsung’s newest Galaxy phone. According to them, the phone has unbelievable features and is super fast. But of course, with my very simplistic knowledge of tech and smart phones, I didn’t understand half of the things I was hearing (what the heck is amoled haha). I knew I had to see and actually use the phone to be able to appreciate all these great features. Call it great timing, but just when I wanted to try the phone, I got an invite in the mail for its launch. So of course, I went. 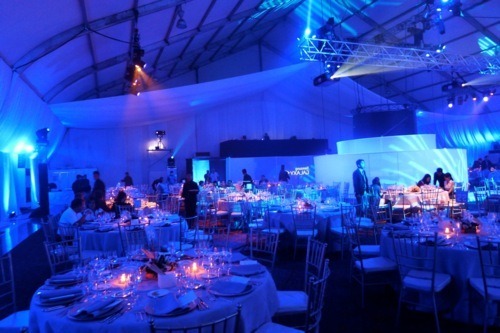 This was a different kind of launch, as Samsung prepared a four-course sit down dinner for more than 200 people (held at the NBC tent). 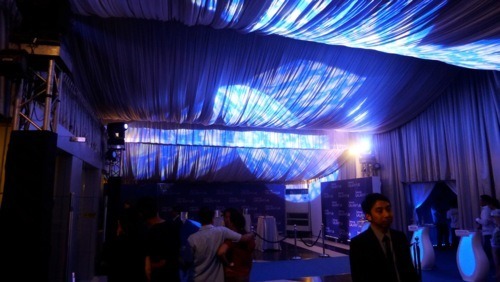 And in order to understand the phone’s many features, Samsung simulated ‘Galaxy’ in a giant screen. 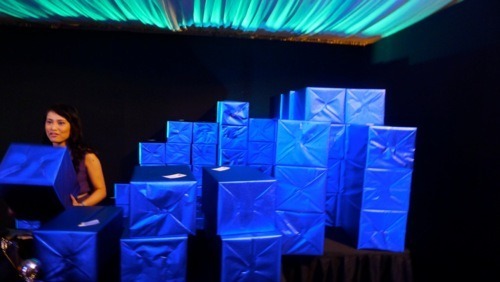 Her job was to help Samsung mobile product marketing head Coco Domingo demonstrate one unique feature after the other. I think everyone in the room was impressed, as we got to learn about the phone’s intuitive features like Smart Stay and Direct Call. 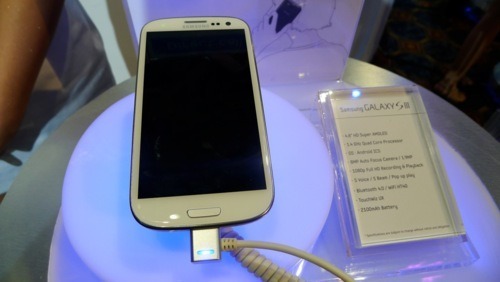 Other features to boast about: Samsung Galaxy SIII has a powerful 1.4GHz quad core processor, a 4.8” HD Super AMOLED display and Wi-Fi Channel Bonding (it doubles the Wi-Fi bandwidth). Also, it has the S Beam, which allows a 1GB movie file to be shared in 3 minutes without Wi-Fi or network connection. It must have been my lucky night as my name was drawn for the raffle. 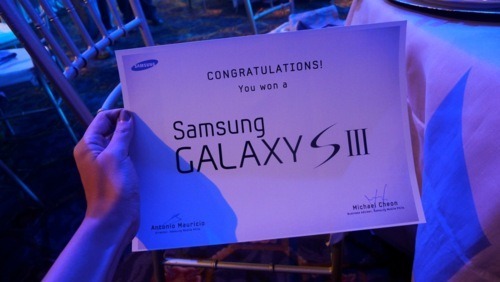 Yes, I won a Samsung Galaxy SIII! I didn’t want to write about it until I got my unit. And now that I am actually using it, I seriously need to catch up with it. It is super fast, and makes multi-tasking easy. The display screen is so clear, browsing the net or looking at photos is such a joy. And while Im still learning how to navigate the programs, I already feel myself becoming more and more tech-saavy. Like I now know what AMOLED is: Active Matrix Organic Light Emitting Diode. (Okay, I just Googled it but I have no idea what it is. Im guessing its the screen. Am I right?) But seriously, I am loving the phone. Thank you Samsung! 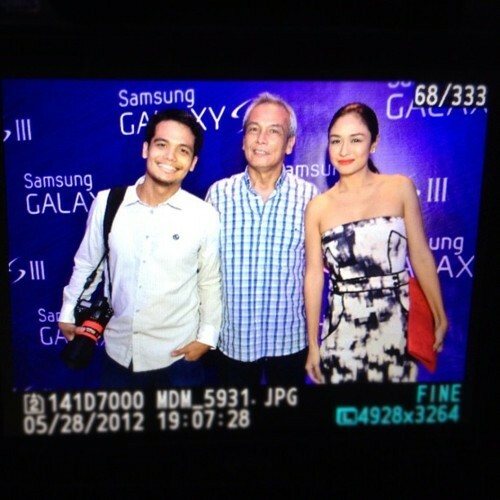 Family affair: my photographer cousin Sandro Paredes and uncle Jim Paredes at the SIII launch. 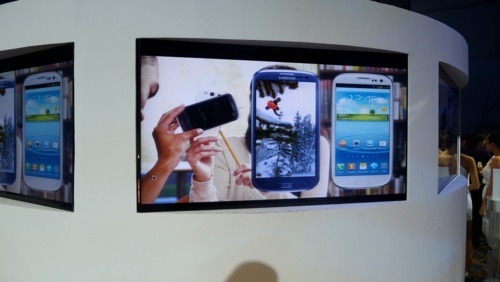 This is the giant interactive screen they used to show us the SIII’s features. The Phil Harmonic Orchestra played while we dined. 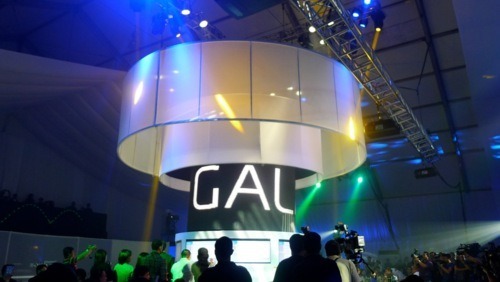 Launching the newest Galaxy phone. Yes, I won this phone. Checking out the demo phone. I like the colors: blue and white. Lots of demos going on. 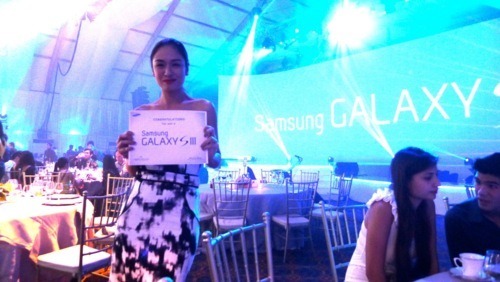 Samsung Galaxy girl showing me its features. Haha showing off my lucky raffle win.